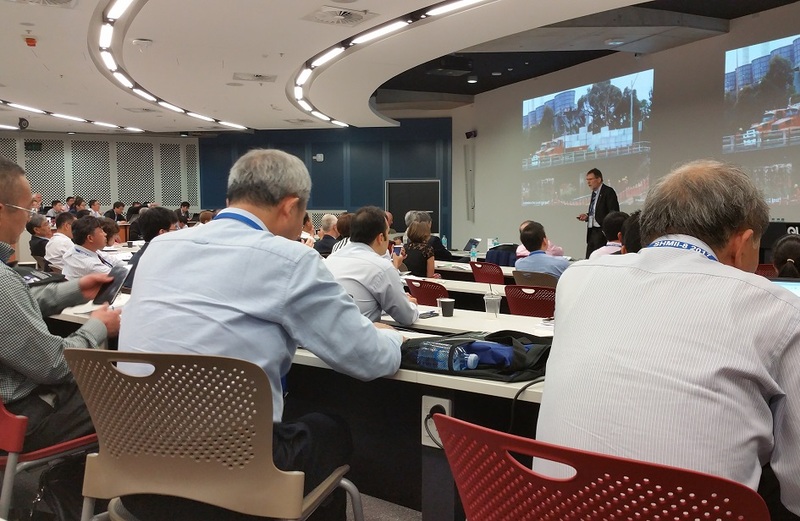 TRUSS ESRs and supervisors from WP5 have jointly published a paper on the project overall as well as results to date in each individual project carrying out research on bridges in a major conference on Structural Health Monitoring. 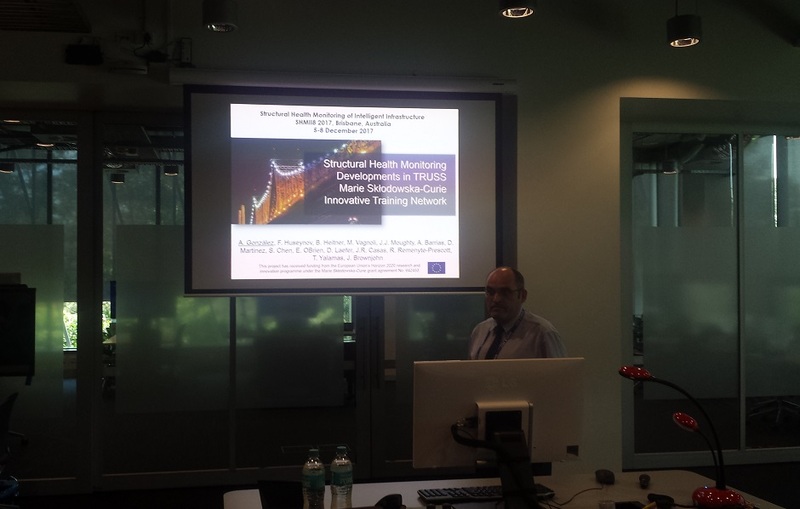 The title is ‘Structural Health Monitoring Developments in TRUSS Marie Skłodowska-Curie Innovative Training Network‘, by A. González, F. Huseynov (ESR7), B. Heitner (ESR8), M. Vagnoli (ESR9), J.J. Moughty (ESR10), A. Barrias (ESR11), D. Martinez (ESR12), S. Chen (ESR14), E. OBrien, D. Laefer, J.R. Casas, R. Remenyte-Prescott, T. Yalamas, J. Brownjohn. 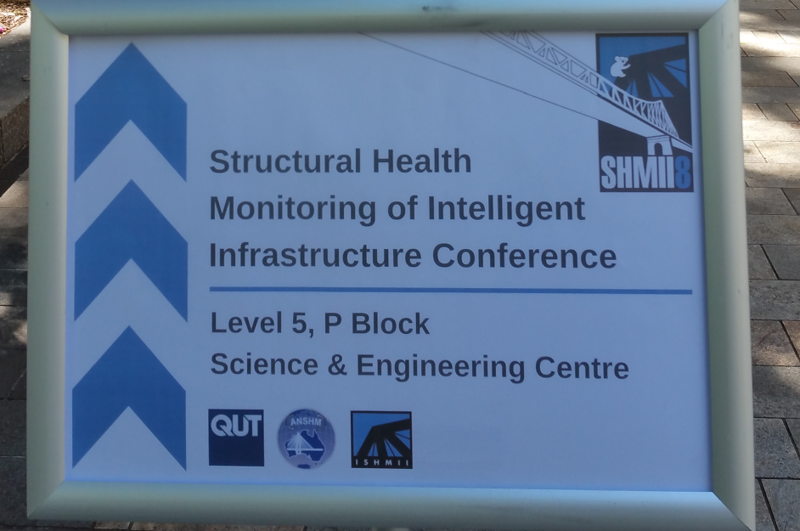 The paper has been presented by the Project Coordinator in the 8th International Conference on Structural Health Monitoring of Intelligent Infrastructure (SHMII-8), held in Brisbane, Australia, from 5th to 8th December 2017. Out of 246 full papers that were submitted to the conference, 184 full papers were accepted. The Conference was attended by 222 delegates from 26 countries covering 6 continents. 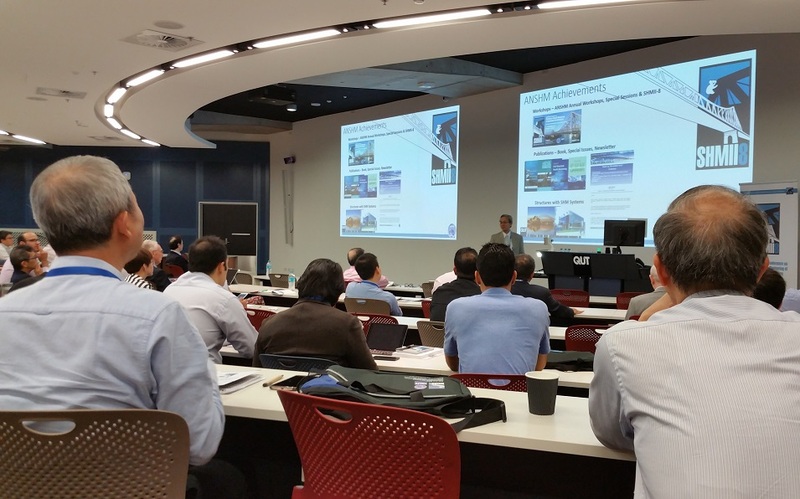 The TRUSS talk took place on Friday 8th December from 10:50 to 11:20 in room P413 of Level 5, P Block, QUT Gardens Point Campus. It was included within the session “Critical Issues for SHM, Intelligent Systems, Smart Sensors” chaired by David Hester and Jie Xu. Questions from the audience were focused on the use of distributed optical fiber sensing and rotations for the purpose of detecting damage.